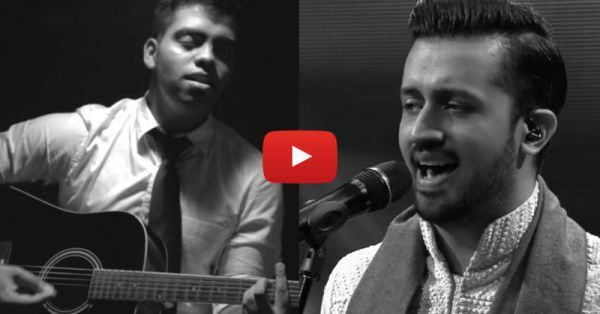 This Medley Of Your FAV Atif Aslam Songs Will Steal Your Heart! We can’t think of anyone among the people we know who doesn’t love Atif Aslam. We totally adore him, his voice is just magical. We love all his songs! This medley of some of the most beautiful songs by Atif is so good! We just want to keep listening to it on loop. The Kroonerz Project have won our hearts with this medley. It has all our favourite songs - “Bakhuda”, “Tu Jaane Na”, “Be Intehaan”, “Doori”, Tera Hone Laga Hu” and “Kuch Is Tarah”... It’s like the ULTIMATE romantic medley! We’re going to play this one when we go on a romantic long drive with our boyfriends (pakka! ), what about you? Also Watch: This A-Capella Cover Of Atif Aslam's Jeena Jeena Is MAGICAL!